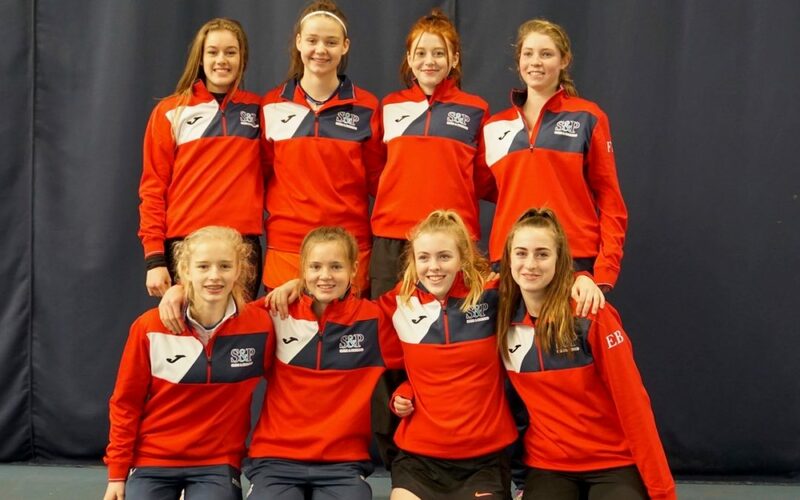 The Norfolk U/18 Girls team were in action at Easton & Otley College, Easton & Otley Tennis Centre over last week. In a highly competitive group the girls produced some fine tennis to win 2 out of 3 rubbers and consolidate there position in this group for another year. 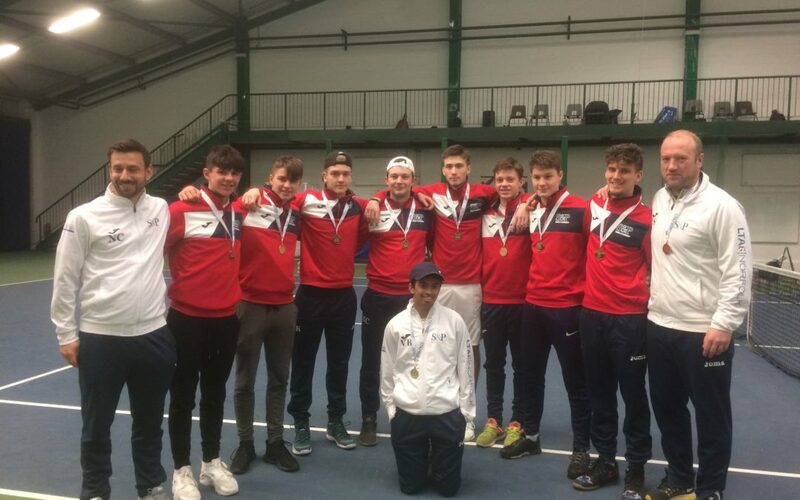 Norfolk U/18 Boys have defeated teams from Cumbria, Nottinghamshire and Hereford & Worcester to win promotion into group 3 of the County Cup competition. Playing at Hills Road, Cambridge over the weekend, Norfolk were looking to build on a strong performance last year where they narrowly missed out on promotion after a final day lose to Cambridge. This year the team introduced three new players to the squad; Fred Withers, Scott Whiting and Gautham Narayanan. The new recruits added an overall depth in performance to the older squad members, Matt Samson, Alex Watkinson, Harry Ketteringham, Cameron Whiting, Finlay Rowan & Matt Cott. On friday, Norfolk faced Cumbria. It was an even match up in terms of the rankings of both sets of players. Debutants Fred and Scott showed no signs of nerves. Both winning comfortably to ease the team into a 2-0 lead. Other singles wins for Alex and Cameron enabled Norfolk to take a 4-2 lead into the doubles. The team maintained there lead to close out a 6-3 match win, with the Whiting brothers claiming the decisive rubber 10-8 in the third. On the saturday Norfolk faced Nottinghamshire who had lost 3-6 on the opening day to Hereford & Worcestershire. Fred and Scott again played with great authority to win in straight sets. In what proved to be a pivotal match, Harry coming back from a set down to break Notts resistance. Singles wins for Matt and Alex ensured victory although it was great to see a clinical edge to the team with straight set wins in all three doubles. Matt Cott in particular showing his doubles experience on leave from university. A Resounding 8-1 win and promotion was now a possibility. Heading into the final day, Norfolk could afford to lose the match with Hereford & Worcestershire, as long as they won 4 rubbers. There were no signs of complacency with the team coming through to win the first 5 singles matches without losing a set. Despite already securing promotion, the team wanted to complete the doubles matches and continued there fine form with further victories including a win for Matt and debutant Guatham. The final match score being 7-2 to Norfolk. Co-Captain Nick Crawley said “it’s the desire they have shown, not only to win but the ruthless nature of how they went about there business which was most impressive”. 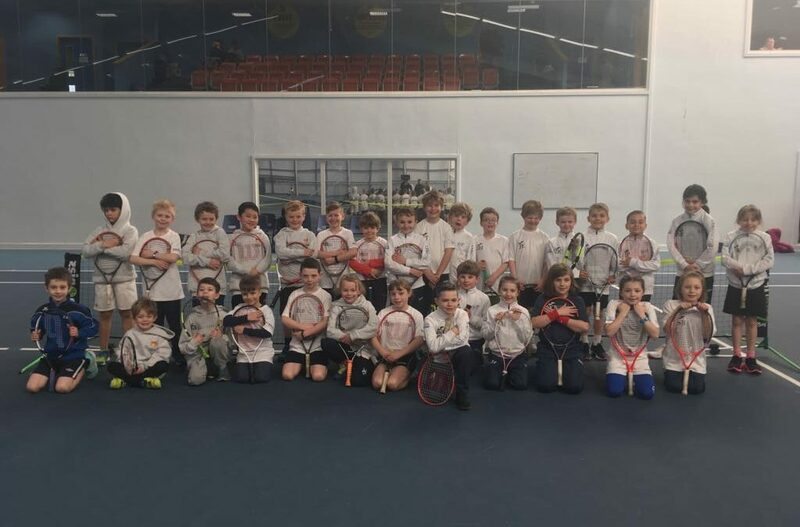 Saturday 17th February was the day of our annual mini tennis inter-county match against Suffolk. There were 96 players in all from the two counties, in 8u (mini red), 9u (mini orange) and 10u (mini green). The 8u’s were mixed teams, the 9u’s and 10u’s separate girls and boys. The Norfolk players were defeated in all of the age groups with the 8u’s coming the closest to gaining the win with a score if 64-59. Although Norfolk didn’t get a win overall in any age group, all of the players represented their county well; many of the matches were very close, and most players won a match during the day. These events are a great way of bringing the teams together and encouraging the players to play more and to keep working hard to improve for next time. Thanks to all of the parents and players for working hard and supporting.